First of all, if you want to choose a flexible LED strips, check out our LED Ribbon Selection Guide. 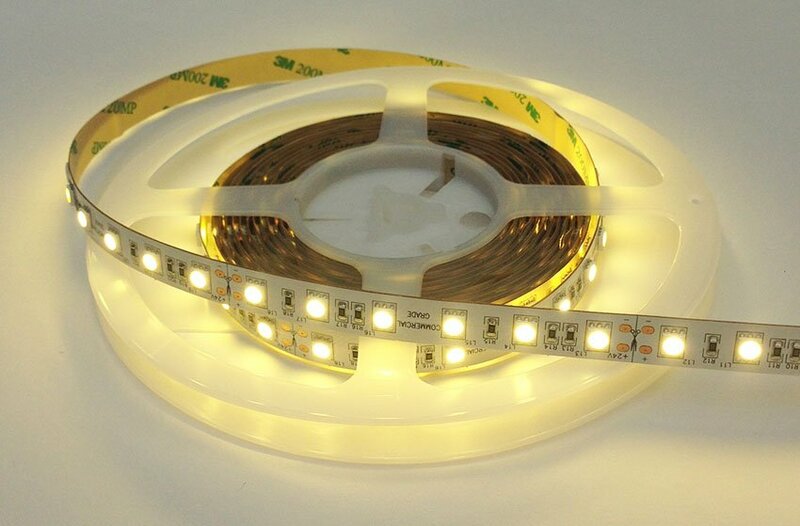 You can then make your choice among our Packs of LED strips. 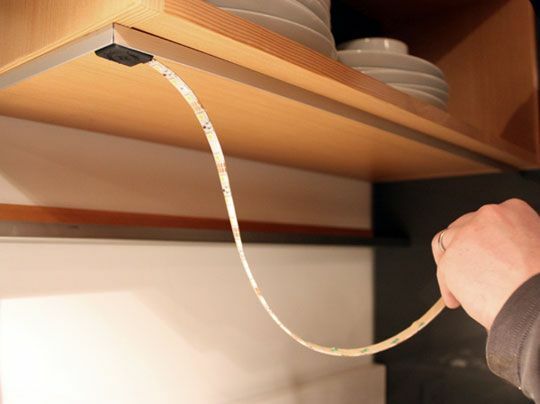 Install flexible LED strips is very simple. The Ribbon has a powerful sticker and can be attached to all types of media. Watch dusty racks that will need to be well cleaned before gluing the Ribbon. Before gluing the Ribbon, make a “blank” branch to verify proper operation: once stuck, the Ribbon will be difficult to remove. Turn off the power for all 230V connection. On the other hand, the Ribbon running 12V, it can be handled without danger. So, you can do a test before sticking it to position it in the right place with the on tape, but be careful not to pull on the wires in 230V during this operation. 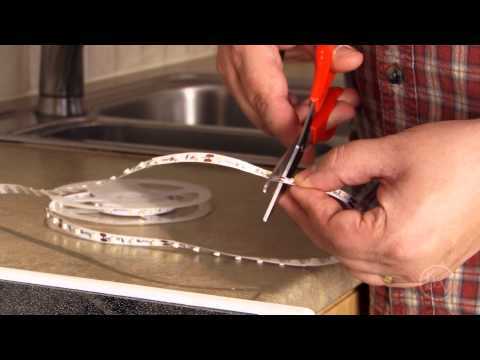 To adapt your Ribbon to your installation, it is possible to simply cut with scissors. You can cut a Ribbon, add a feed, and continue further with the rest of the cut piece. The ribbons are designed to be welded: Tin copper disk, and the end of the wire, just solder your thread. To extend a Ribbon, cut it on the edge of the copper discs, Tin 4 discs, put ribbons end to end, and from the tip of the soldering iron, connect both tinned. tous les 10 cm pour des rubans de 30 LED/mètre. For better comfort, avoid directing the LED of a tape directly to the eyes. This is not dangerous, but it’s not very nice visually. 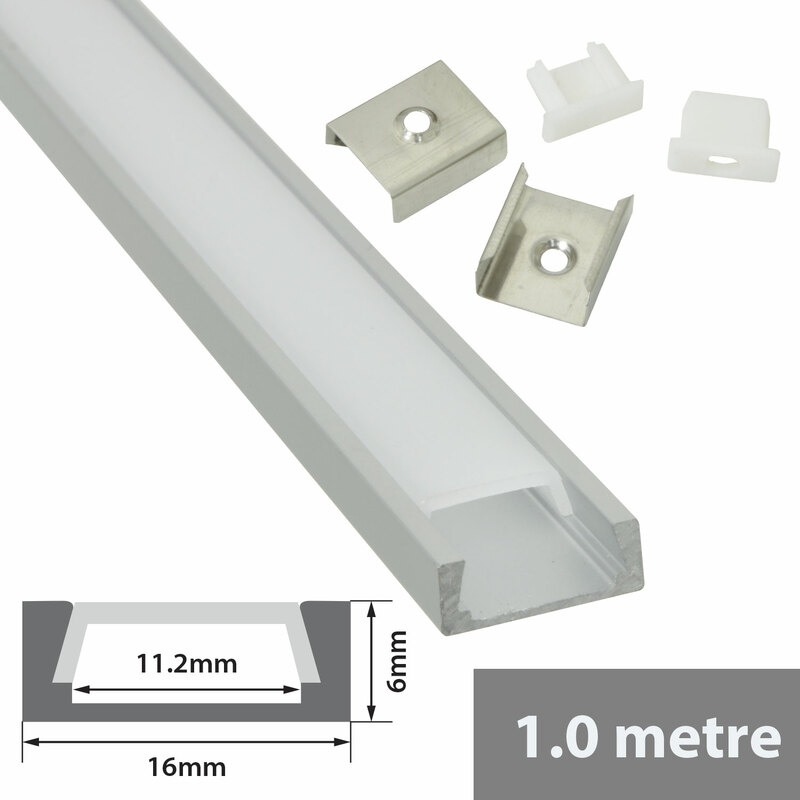 for a live montage, you can place ribbons in special aluminium LED profiles that will hide the Ribbon once installed. try not to place the Ribbon too close to the surface which will broadcast the light for greater efficiency: a Ribbon placed on a ledge at 20 cm from the ceiling will enlighten more than 2 cm. count light output reduced from 30% to 50% according to the positioning of the Ribbon. LED decoration uban: 10 meters maximum in series. normal power LED Ribbon: 7.5 meters in series. 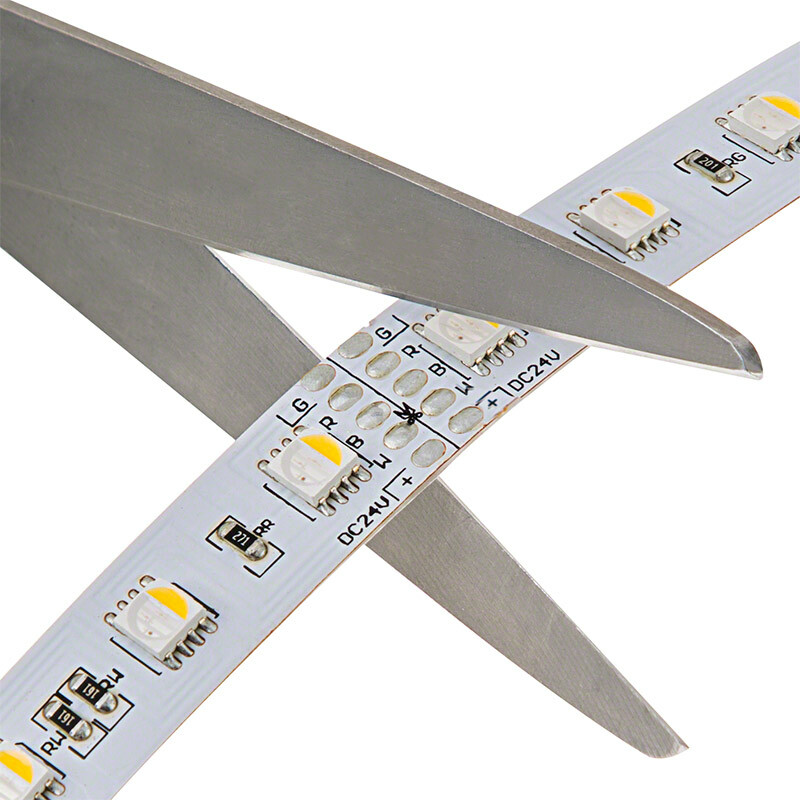 LED Ribbon high density: 5 meters maximum in series. variable color LED Ribbon: 7.5 meters in series. 2.5 meters maximum in series with the Ribbon on a full rack (OK: plasterboard, wood, glass…). 5 meters maximum in series with the Ribbon on an aluminium profile or metal. 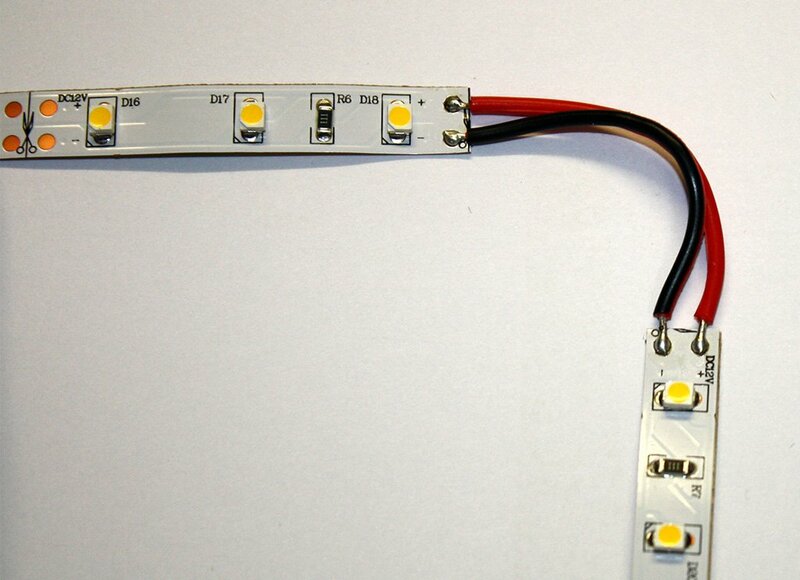 Strip of LEDs very high power: 2.5 meters maximum in series (2.5 meters if powered from both sides). For your installation, it is possible to multiply these values by 2 by plugging the Ribbon from the Middle either by plugging it on both sides. Use an aluminium profile can be provided the theoretical life of the LED (35000 to 50000 hours). If you want to know the distance maximum wire between the power supply and the strip of LEDs, you can find this information in the selection of power supplies guide. It is possible to connect your ribbons with wires or sheets. When in doubt, take a pack or contact us. Power supply: If the mains has a record output, use a single female plug. Otherwise, you have nothing to do. LED ribbons: Ribbons are delivered with threads, you will therefore have nothing to do special. Power supply: If the location already has a record output, you will have nothing to do, otherwise, you need to add the finishing plug for power supply or plug one male and connect it with a domino. 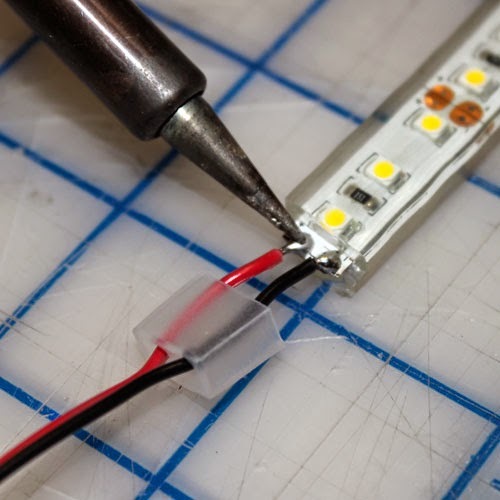 LED ribbons: Ribbons are delivered with wires, you need to add a plug for ribbons package to connect to a power supply with care. Our RGB LED strips are provided with 4 pin female plugs at both ends: you need to add a plug or a male/male plug according to the controller that you want to connect the LED strips. a dimmer LED radio (+ function ON / OFF). a LED dimmer manual (+ function ON / OFF). 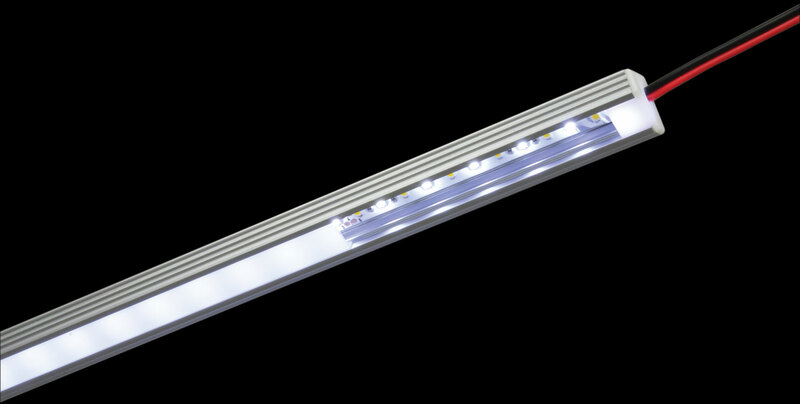 It is often preferable to place the LED strips in the aluminium profiles, especially for the powers greater than 9 or 10W/m. you will find these information in the realization of bars LED guide. Essential to order with this Ribbon accessories are: a power supply, a controller (and its remote control). In order to locate the ground wire from the son of warm white and cold white, just read the instructions on the Ribbon. Implementing the ribbons RGB is identical to that of the white ribbons, but with 4 wires (mass, red, green, blue). There a controller in addition to the power to be able to vary the color. The power supply must be sufficient to feed the Ribbon and the controller that uses less than 1W. The controller can be connected to one or more ribbons until the maximum power it can support. For example, a Ribbon RGB normal 5 meter power consumption 3A (3x1A). So we can connect 4 ribbons of type to the output of a 3x4A controller. It is possible to order additional ribbons when it exceeds the capacity of the controller by adding a RGB signal amplifier. In this case, the amplifier is connected to a new power supply. It is best to avoid plugging a controller or a un amplificateur amplifier vacuum, plug so the tape output before connecting it to the power supply. Ribbons RGB connect to controllers with Terminal screw, inserting the son in special sheets or with connectors. This depends on the model of controller.